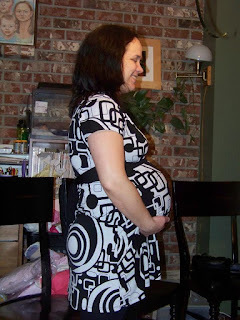 So I have blogged about my pregnancy in a while! I am technically 31 weeks but the baby measures at 33 weeks. So she is predicted to be around 8 to 8 1/2 pounds. Yesterday was my baby shower. Thank you to everyone who came and even those who were not able to come. Thank you for the great baby wishes! Here is a current belly shot. Man looks like I swallowed a beach ball!! You look fantastic!!! Congratulations, a little while longer to go!